Several weeks ago, I posted a tribute to white blouses. 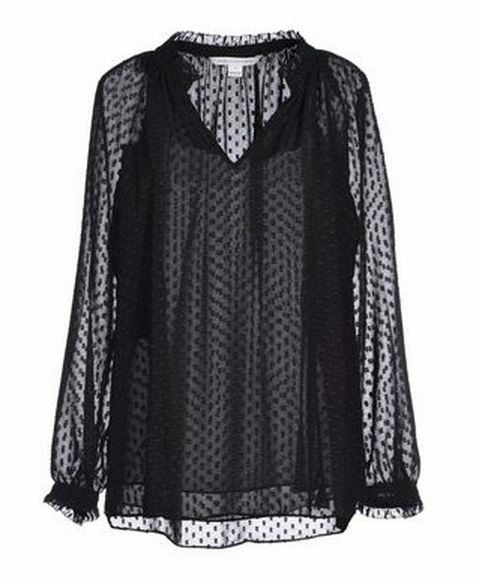 Today, I’d like to give black blouses their due. 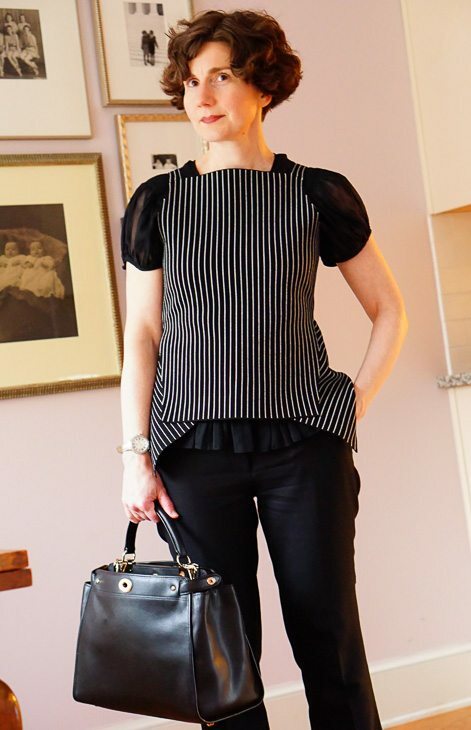 A black blouse is a great addition to the professional wardrobe. 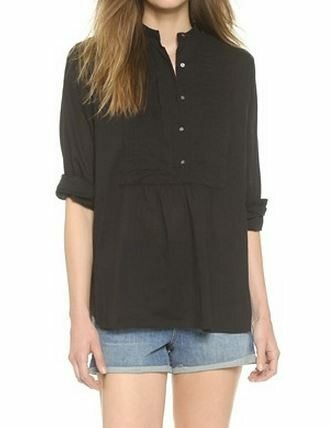 By “black blouse,” I mean a shirt — not a jersey — that buttons down the front or back. 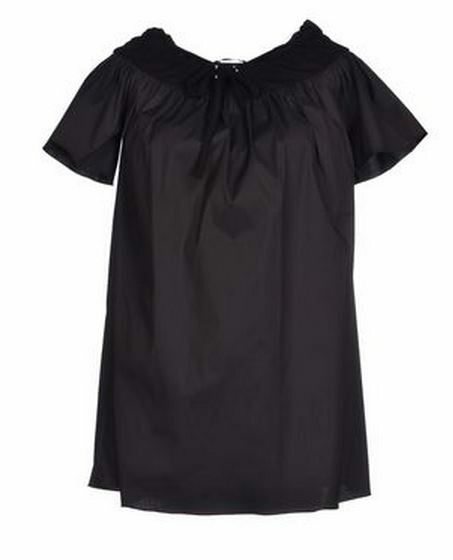 A collar is a nice feature (because collars have presence) but some of my favorite black blouses have round necklines. 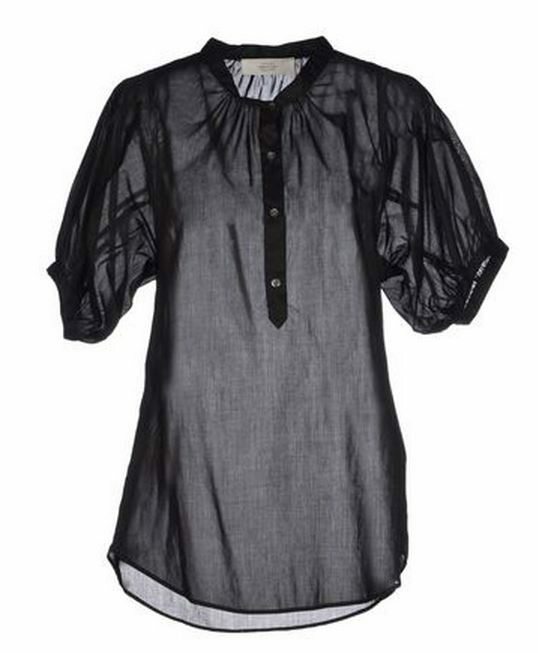 Blouses in fluid or supple fabrics like silk and cotton voile (with a simple black camisole underneath) allow one to layer comfortably. 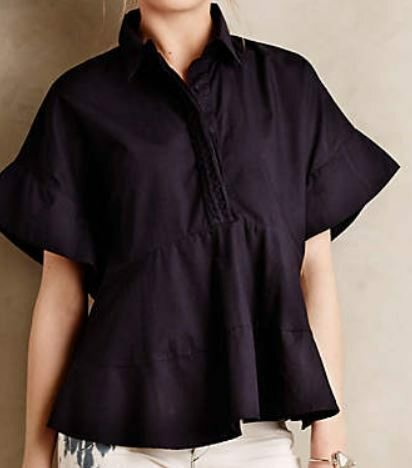 If you are buying a black blouse to act as a base layer (under jackets, sweaters, or other tops) and the fabric is very light and pliable, it doesn’t matter if the blouse is too big; your top layer will simply compress any extra fabric. 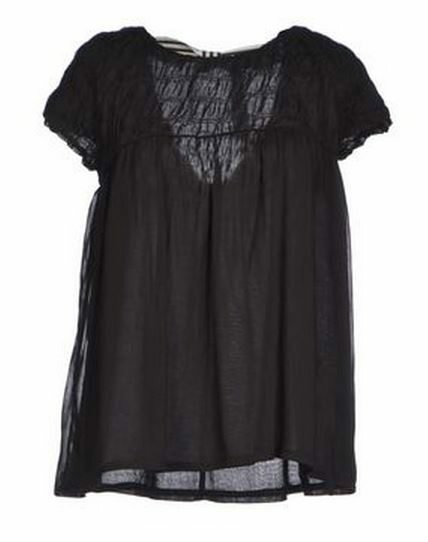 So if you see a Fortuny-pleated blouse on sale that is two sizes too big for you, snap it up. 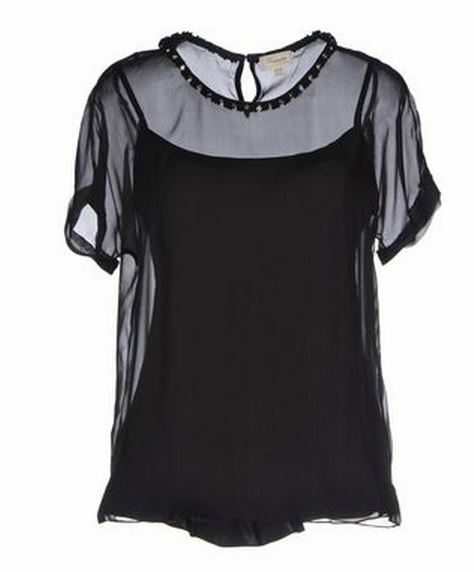 And special bonus: this charming blouse by Vanessa Bruno, who seems to have struck up an alliance with Anthropologie. I thought it was black, but it’s actually navy. 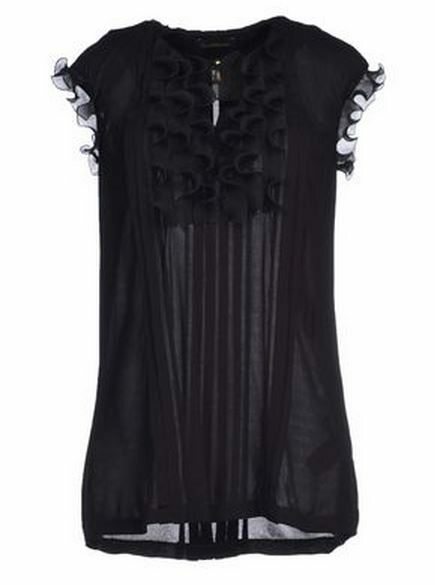 Would love to have several of the above blouses. The more feminine versions are the more useful in my opinion, but wouldn’t hesitate to try them all.